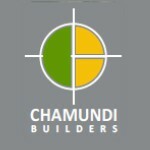 Chamundi Builders is among the leading property developers in Bangalore with a reputation of quality construction and commitment to timeless values. Since its inception that is almost three decades, Chamundi Builders has grown from strength to strength carving a niche for itself in the realm of real estate and property development. The company perfectly blends customer focus, total transparency, and impeccable ethics to deliver international quality living spaces at affordable rates. Amber Woods is its latest property offering in one of the most strategic locations in the city—developed to redefine the face of luxury living. Nestled amidst undulating green pastures—bordering the Turahalli forests glade off Kanakapura Road, Chamundi Amber Woods creates a haven that stands in harmony with tranquillity and luxury. It is away from the din and bustle of the city yet well connected to top business centres, educational institutions and shopping areas—making it a rational and perfect choice for investment…and living the good life!